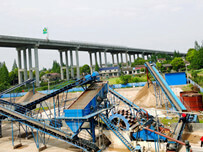 Sand washing plant is a special line for washing of sand and gravels for construction. The sand from sand production line has uniform grain size and high compressive strength, far more than natural sand. Then washed by sand washing machine is more in line with the building requirements and can improve the building quality. 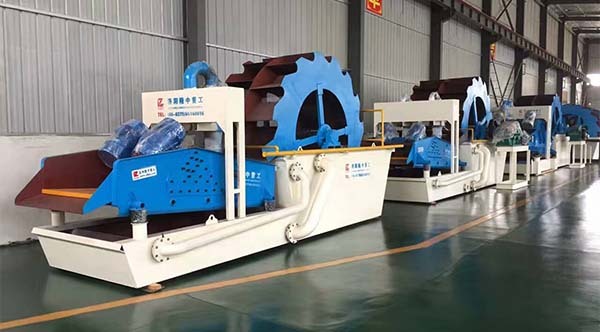 Sand washing Plant consists of vibrating feeder, jaw crusher, vertical shaft impact crusher (sand making machine), vibrating screen, sand washing machine, belt conveyor and centrally electric controlling system, etc. The designed capacity is from 50t/h to 500t/h. After many years’ research, our company has developed an internationally advanced vertical shaft impact crusher, which can be used together with other machinery as a complete sand making flow. This design racks a leading role in the same industry. 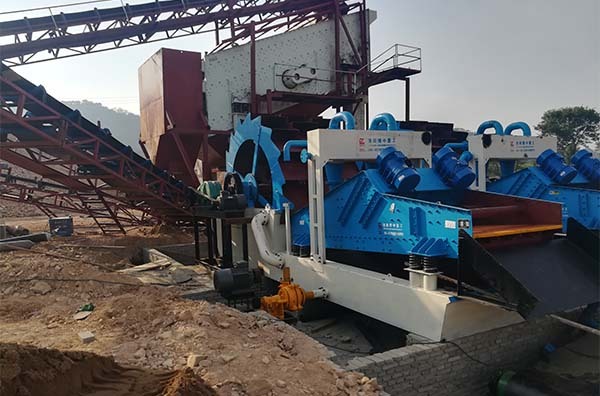 The stone material is sent regularly by the vibrating feeder to the primary jaw crusher, the crushed material is sent to the secondary jaw crusher to be crushed again. The crushed material is sent by belt conveyor to vibrating screen to be separated. The material, whose size is suitable for the feed size of the sand making machine, can be sent to the sand making machine. This is very important in whole sand washing plant. The unsuitable material should be sent back to the secondary jaw crusher to be crushed again. 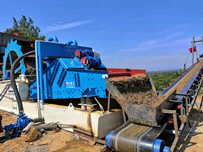 The crushed material from the sand making machine is sent back to the vibrating screen to be separated. 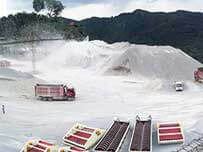 The suitable separated sand, which is the final product, should be sent to the sand washing plant machine to be cleaned, and then sent by the belt conveyor. 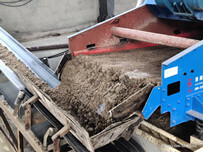 The unsuitable separated sand should be sent back to the sand making machine to be crushed again. The producing line forms two closed cycles. The producing line can be changed according to the customers’ requests.